Beautiful blooming daffodils in spring, bouncing red squirrels in summer and majestic red deer in autumn, Windermere is the place to visit to spot the best of the Lake District’s wildlife all year round. Read Cumbria Wildlife Trust’s www.cumbriawildlifetrust.org.uk, guide below to spotting these well-known species and special places to go to look for more unusual wildlife. 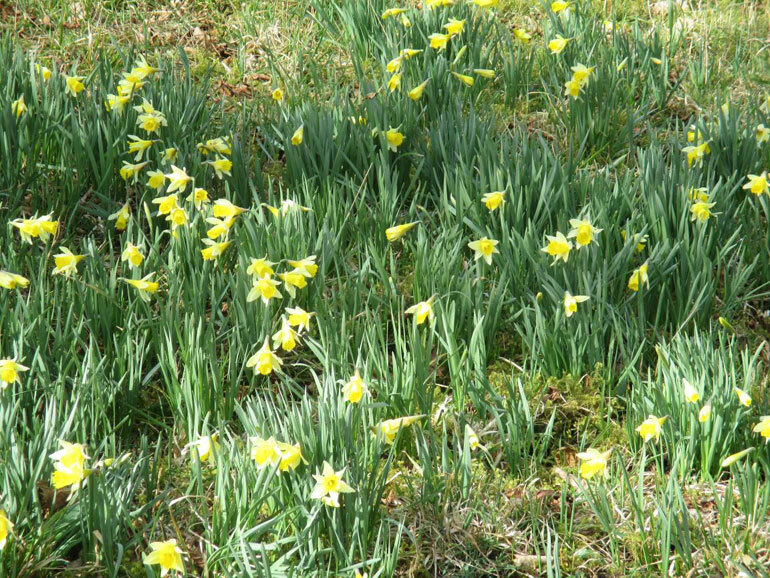 Windermere and the Lake District come alive with daffodils in late March and Early April and are easy to spot on any grass verge or open green space. But these daffodils are not the ones so joyfully celebrated by Wordsworth in his famous poem. Wordsworth would have been admiring native daffodils, Narcissus pseudonarcissus, which are shorter and more delicate than garden cultivars and much harder to spot. If you are walking in woods around Windermere keep your eyes peeled for red and grey squirrels. It is sometimes easy to tell them apart – but don’t rely on the coat colour. 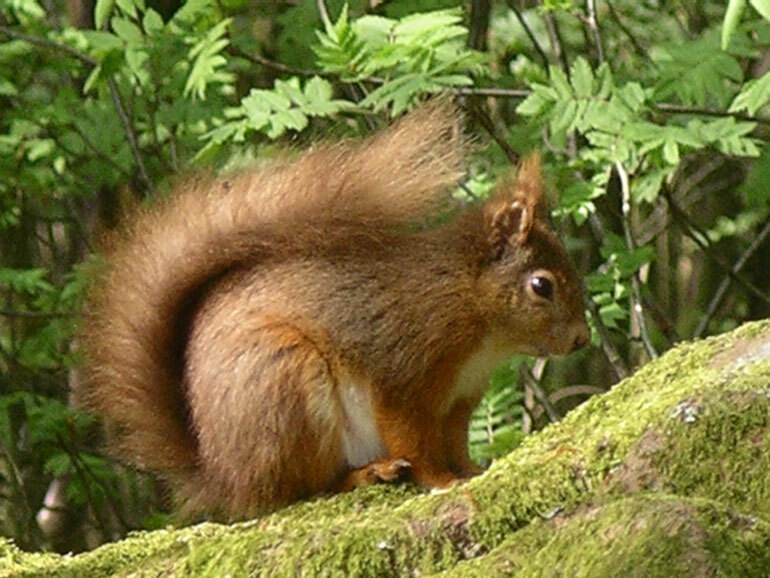 The reds are considerably smaller and often have long tufts to their ears. Greys always have small, rounded ears and have white hairs along the edge of the tail, giving the tail a halo. Red squirrels are often spotted all around the Windermere area but to increase your chances head to woodlands at Claife Heights and Grizedale Forest; remember red squirrels prefer conifer trees as they mainly feed on the seed from the pine cones. Red squirrels have been found in England since the end of the last Ice Age and are part of our native fauna. The non-native grey squirrel was introduced to England in the late 1870s from America and is the primary cause of decline of the red squirrel. It does so by out-competing red squirrels for food in deciduous and mixed woodlands and transmitting a virus, the squirrel poxvirus, that is lethal to red squirrels. Dark russet-brown in colour, with a paler buff rump patch and a pale tail, red deer are larger than other deer species you can find in the UK. You’ll have to head to Martindale between Ullswater and Haweswater to see a large herd of red deer but a visit to Grizedale Forest, west of Windermere is also home the red deer and you may be lucky to spot one between the trees. 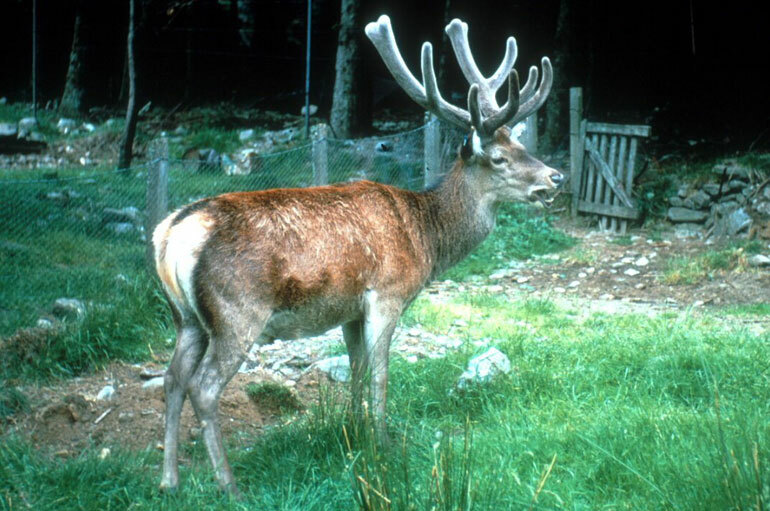 Our largest deer, males have large, branching antlers, increasing in size as they get older. During the autumnal breeding season, known as the ‘rut’, males bellow to proclaim their territory and will fight over the females, sometimes injuring each other with their sharp antlers. Cumbria Wildlife Trust looks after nature reserves that often have very special and unusual wildlife. There are many species of flowers, grasses, butterflies and dragonflies that could be lost from Cumbria if nature reserves weren’t carefully managed. Head to Barkbooth Lot Nature Reserve http://www.cumbriawildlifetrust.org.uk/reserves/barkbooth-lot, south east of Windermere to visit one of these unique places. For a relatively small area, Barkbooth Lot packs a lot in! Open fell land, with a mix of rough grassland, bracken and scrub and two small tarns, contrasts with the oak woodland. There is a meadow to visit and a small area of larch plantation. On a clear day from the highest point you can get magnificent views of both the Lakeland fells and Morecambe Bay. A visit here is always rewarding as the range of habitats means there is a huge diversity of species to discover. Walk through the rough grassland areas and look out for the rare high brown fritillary butterfly and dark-green fritillary butterfly. You may also see other butterflies such as the pearl-bordered and small pearl-bordered fritillaries, orange tip, meadow brown and small heath. The tarns on Barkbooth Lot are great places to spot damselflies and dragonflies. Look out for the downy emerald dragonfly, the emperor, four-spotted chaser and golden banded dragonflies and the common and black darters. Beware near the tarn however as the rare medicinal leech lives here!